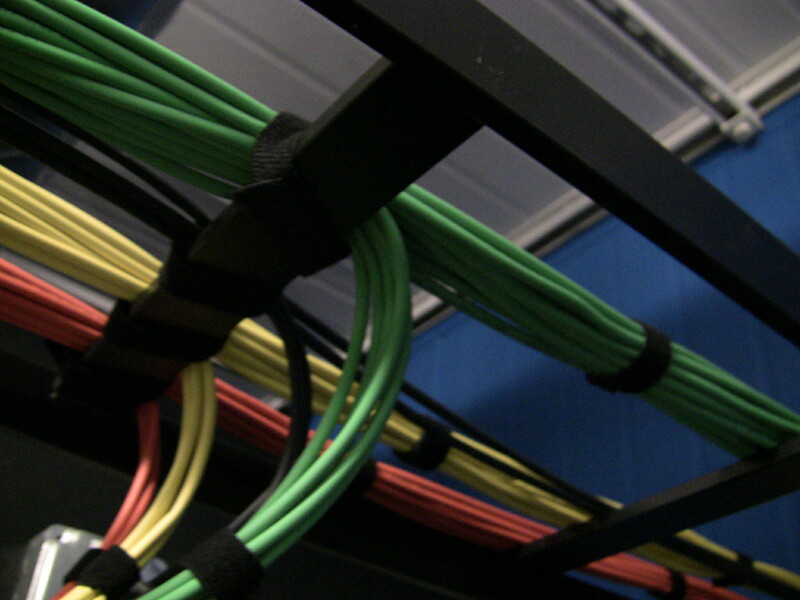 When you are doing a wiring project for a building you will likely come across Plenum cabling. What is it and when should you use it? Plenum cable is like regular Ethernet (PVC) cable but, there is special insulation added to the wiring causing it to be low smoke and fire-resistant. Because of the added fire protection, it is often required by law in certain scenarios and also more expensive. When should you use Plenum Cable? Plenum cable gets its name from the HVAC term “Plenum Space” that refers to the area between the ceiling or floor, and a drop. This is where air for a building circulates. Because air can move freely, fire spreads quickly here. The fact that Plenum Cable doesn’t produce much smoke when burned and is resistant to fire, in general, is the reason why you want to use it when working in the “Plenum Spaces”. Also, because Plenum Cable is safer than regular PVC cable, there are times when you would use it for all of a project’s wiring. For instance, many schools and hospitals use large amounts of Plenum Cable even in cases where the wire will not be going through a “Plenum Space”. This gives them more protection again toxic fumes that are created when PVC cable burns and can also lower their insurance premiums. When should you use PVC Cable? The main reason to use PVC cable is the cost. At times PVC can be a third of the money of Plenum. Not all aspects of a project will require the added safety that Plenum Cable gives, and it is important to figure out what benefits using Plenum can mean for your insurance premiums. Through weighing these costs you can come to a decision on what type of cabling is right for your project.